When Should I Start To Exercise Again After Childbirth? When should you begin exercising following giving birth? This is a question that many new Mums ask and my answer is, there is no right answer. It depends entirely on the individual and a multitude of factors surrounding fitness levels and delivery, such as what their fitness levels were like before and during their pregnancy, what the delivery was like (were there any complications?) and, importantly, what that individual would consider defines “exercise” for her. However, general consensus is to wait roughly six to eight weeks following childbirth before you resume exercise, and should have had seven days with no post-natal bleeding or discharge. By this time you should have had your post-natal checkup. Obviously, if you’ve had a caesarean, you should wait longer than the six to eight week guideline. My personal opinion is, though, that this relates more to high impact exercise routines such as aerobics, Zumba or running. Gently movement, however, could actually help the healing process following childbirth and would go a long way towards helping you become strong and well as soon as possible. Whilst pelvic floor (Kegel) exercise can assist (and is often prescribed) both during and after pregnancy in the treatment of pelvic floor dysfunction, I am not a fan of its use in isolation. I personally prefer to take an holistic approach to movement, developing a post pregnancy movement plan that is more appropriate. Your pelvic floor works in conjunction with your entire body, so having strength in all your muscles and not concentrating on just this one, is the most effective way to improve pelvic floor muscle health. Many women also experience abdominal separation or Diastasis recti, during pregnancy, which can often be linked to pelvic floor dysfunction. I would certainly prescribe the same exercises to help build pelvic floor strength as I would to someone who had suffered abdominal separation. My whole body approach would include alignment adjustment, corrective exercises, changes in lifestyle in order to assist with rib placement, shoulder strength, hop strength and overall mobility. I would advise this holistic approach to core strengthening rather than the popularly prescribed “crunches”. Another common diagnosis during pregnancy is pelvic prolapse. If you have been diagnosed with this, it’s important to know at what stage. Pelvic prolapse is diagnosed within a range of 0-4, with 0 being none and 4 being an entire prolapse. If your diagnosis is stage 2 or higher then it’s important that you consult a women’s health physio regularly to make sure it’s safe for you to exercise, prior to starting any form of regular exercise regime. 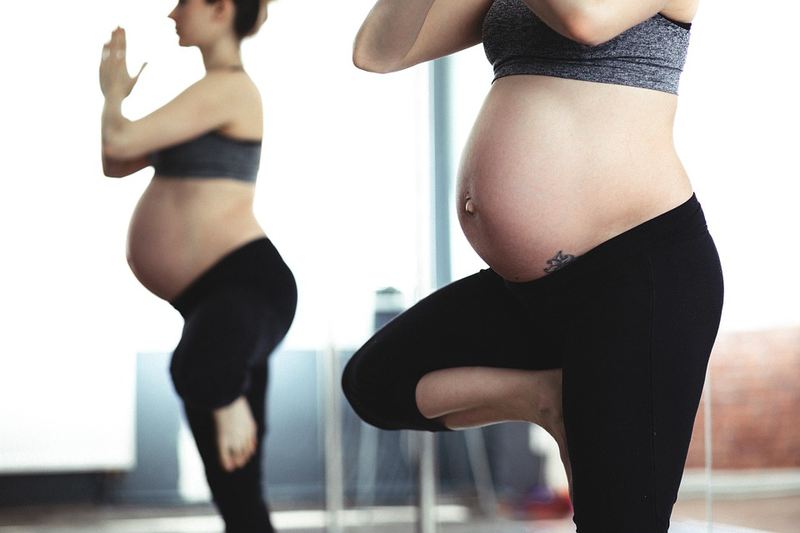 If you’ve had complications or feel in doubt at all that it’s safe for you to resume regular exercise after pregnancy, then it is advised that we organise a one to one consultation in order to address your personal issues and concerns directly and tailor a rountine that is right for you and your own personal circumstances. If you do, however, feel that you’re ready to start regular exercise again and feel generally fit and healthy, then our classes are limited to just 6 people per class, allowing us to have individual time with each participant during each class, allowing for individual correction and adjustment.